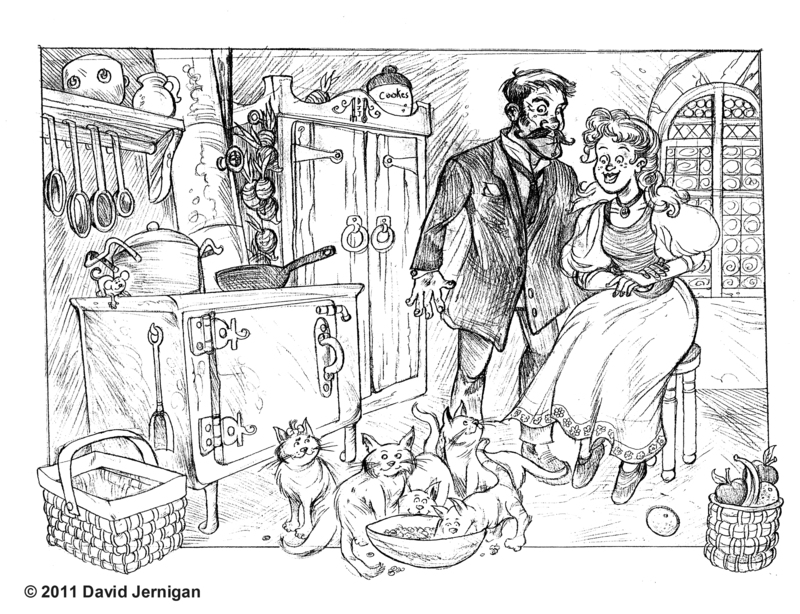 This is a sketch I created for Proctor Publications a long time ago for a children’s book that was never published. The story was about the adventures of a young cat. I like the detail I put into the background. 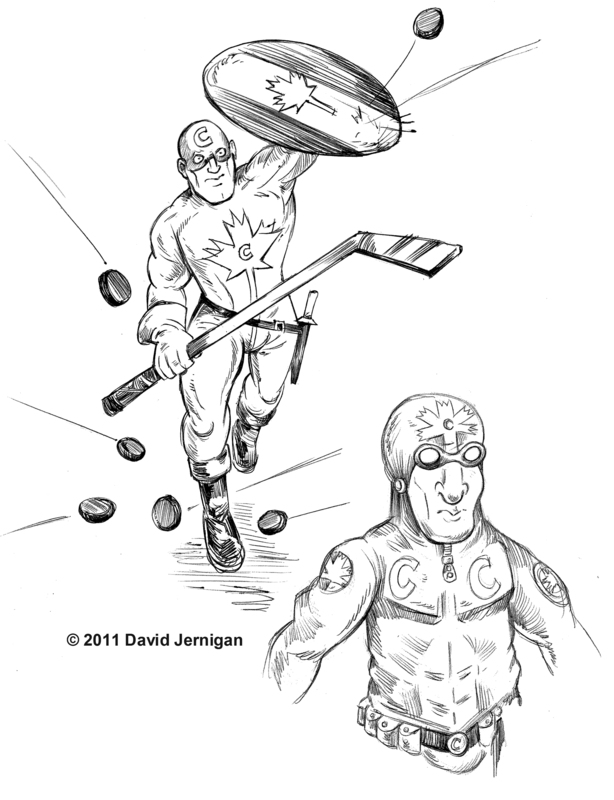 Here he is, eh, Captain Canada. He is the potent hero from the frozen North. Maybe I should call him Commander Canada; there could be a Captain Canada out there some place. 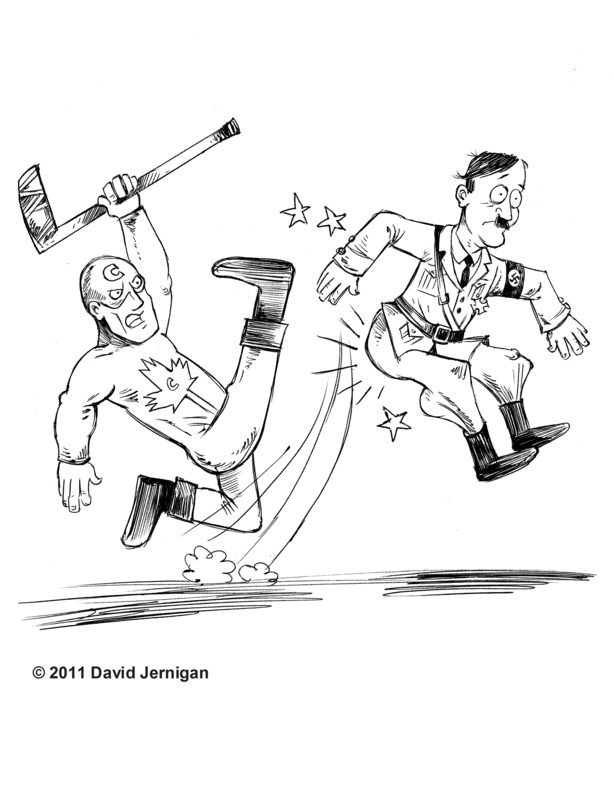 He fights bad guys (That is why he is kicking Hitler) and promotes literacy. 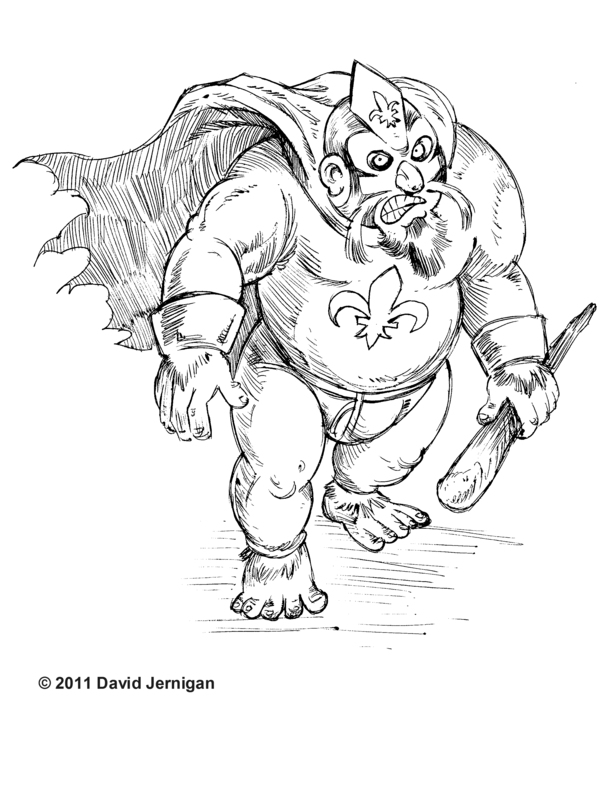 His nemesis is illustrated in the last drawing. The vile Sasq-bec is half Sasquatch and half French Canadian. I drew these for fun after I saw a trailer for the Captain American movie. 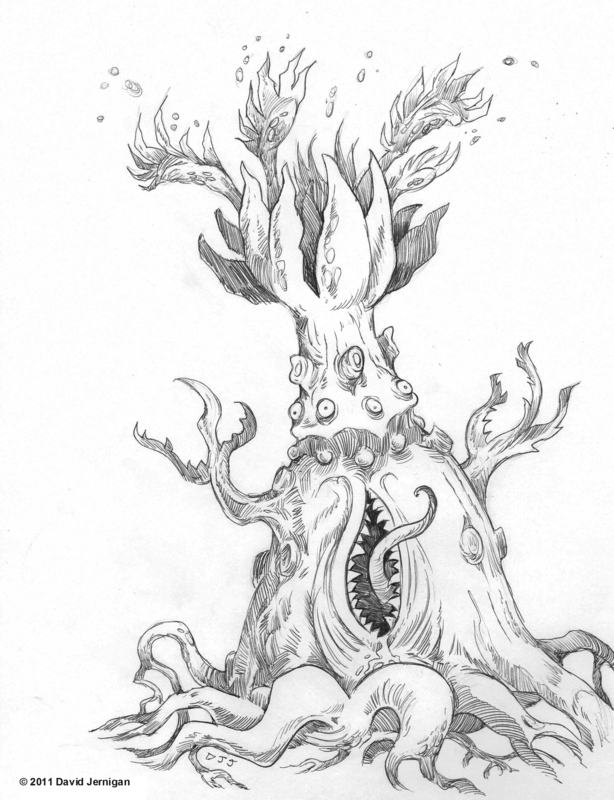 Below is a frightening plant creature I created. It’s not the sort of plant you would want to find growing in your flower bed, and I don’t think weed killer would work on this plant. 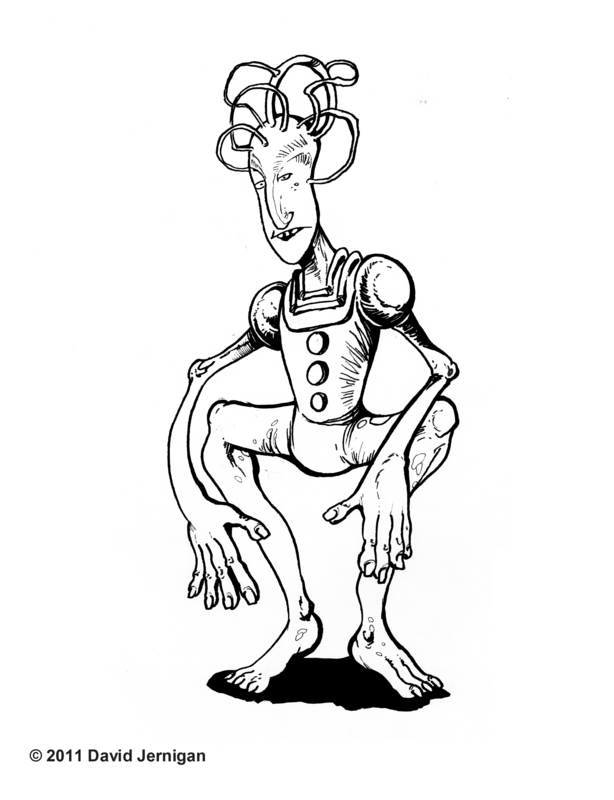 Below are two more spacemen in my series, “Drawings of Space Men I found Lying Around my Office.” The first one is grumpy looking and reminds me of some strange character from a Circus de Soleil show. The second one I drew on my math placement test. 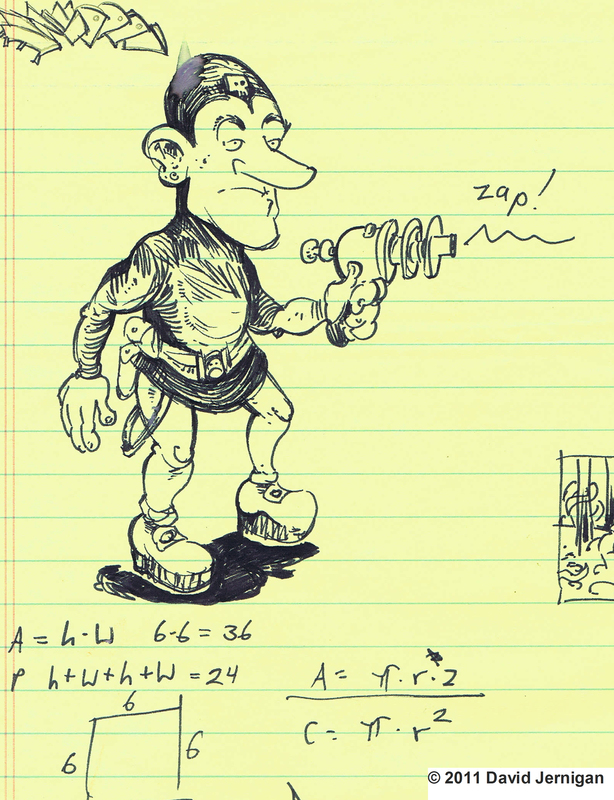 I like his ray gun with its understated zap. 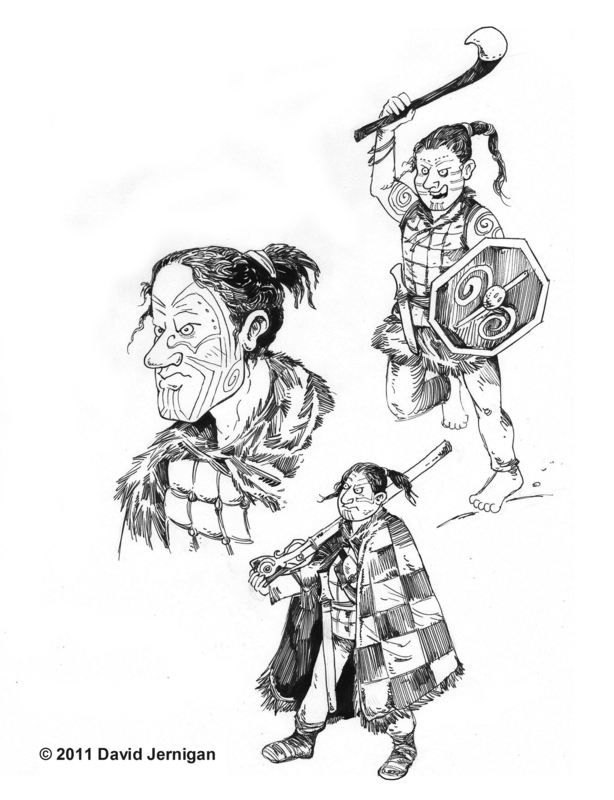 Below are some drawings of combatants inspired by the Maoris of New Zealand. 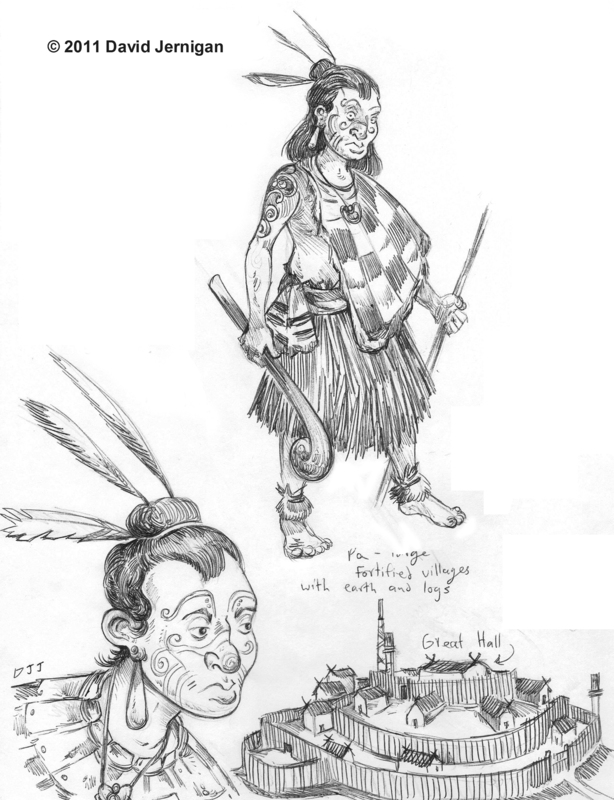 They are not meant to accurately depict Maori warriors. I went to New Zealand when I was a senior in High School and have always had a great interest in that beautiful country. The first two spacemen are from the limited series of posts called, “Drawings of Spacemen I found Lying Around my Office”. 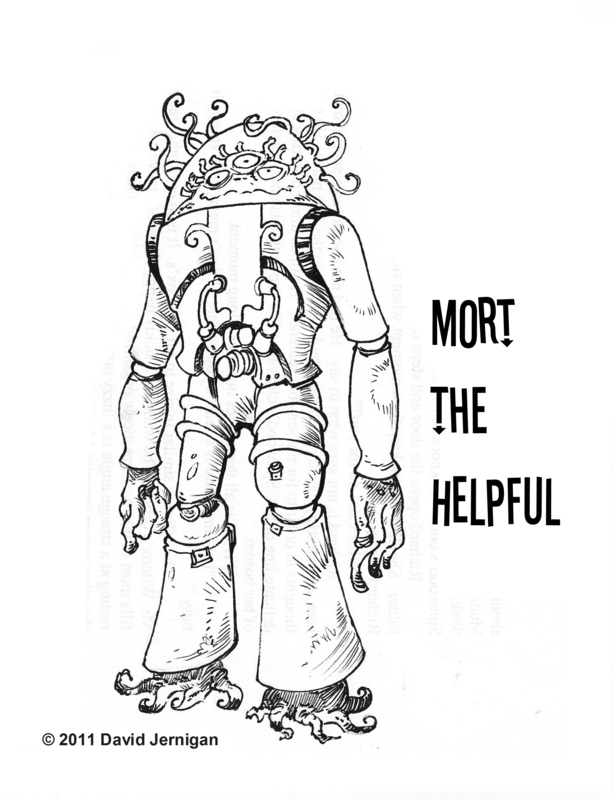 The first one is called Mort The Helpful. I remember that I imagined him as an unhelpful creature from a far distant galaxy. His name was only there to mislead you! 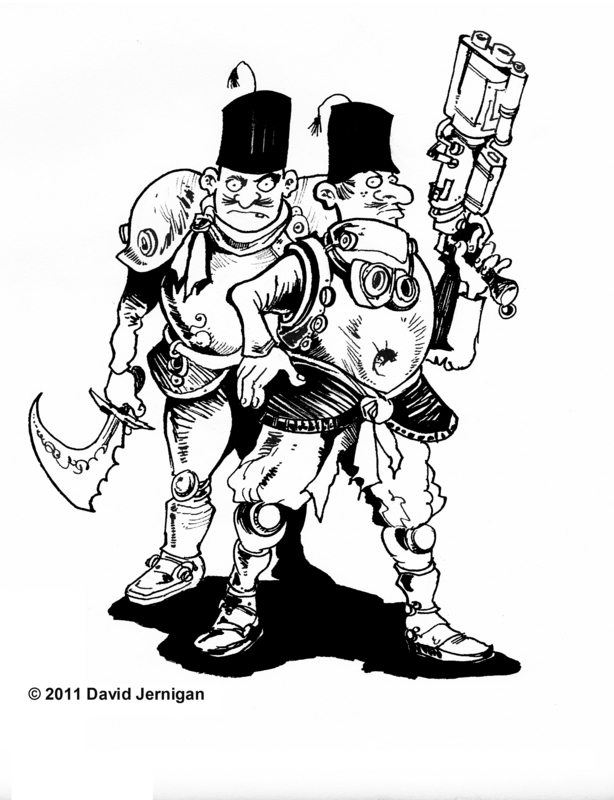 The second drawing is two fez wearing, angry looking fellows from the planet Turkwomanistan.